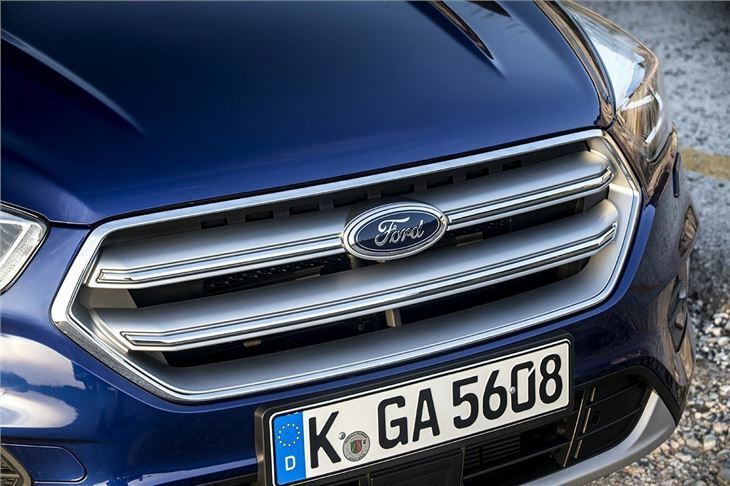 Ford has decided to take the Kuga one step closer to the Edge – at least in terms of looks. 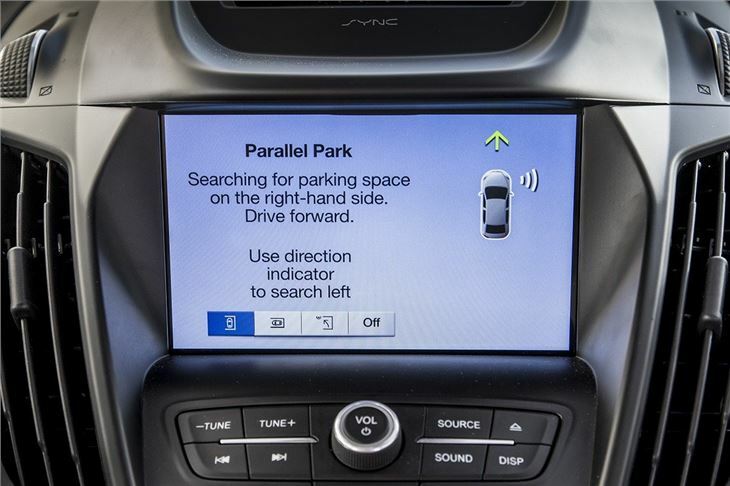 And the Edge is fine, so it's smart move for Ford to make. 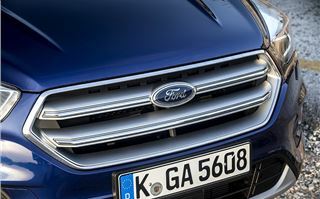 The updated model now has a chunky, American style grille, different headlights and an updated touchscreen. But one of the key changes is a new entry-level 1.5-litre TDCi engine, which we test here. 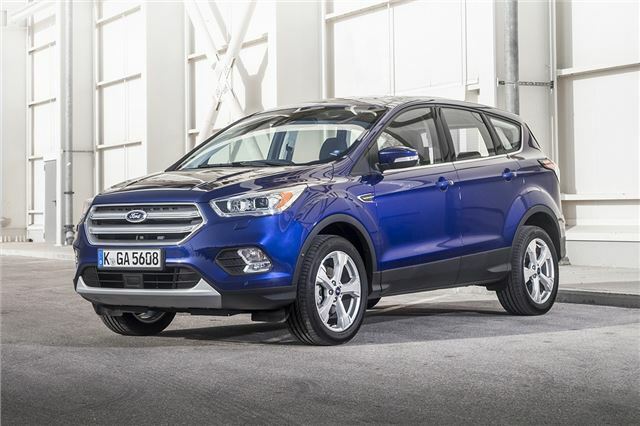 The diesel is used in other Fords like the Focus and produces 120PS along with 270Nm of torque. But what really stands out is the economy. Officially it returns 64.2mpg along with CO2 emissions of 115g/km. 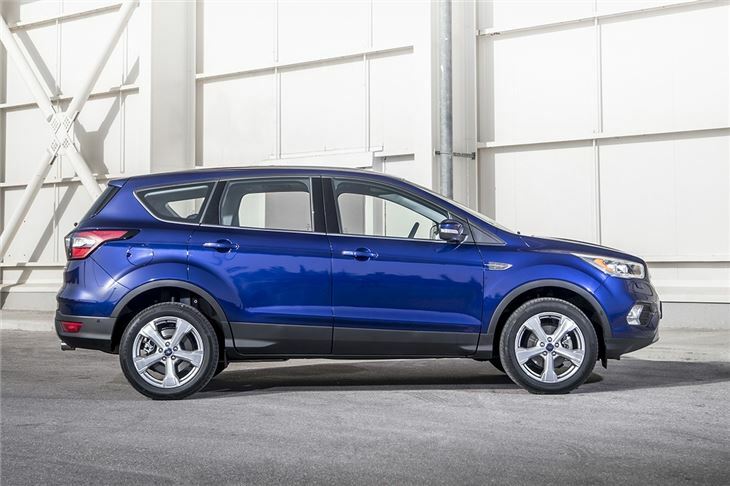 It has a slick, smooth six-speed manual and is front-wheel drive only. As you'd expect, performance isn’t exactly potent, but there’s enough punch to get up to speed despite torque tailing off after 2000rpm. 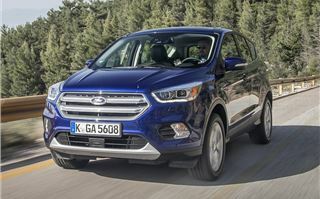 The other engines are as before, with EcoBoost petrols producing between 120PS and 182PS, plus a 2.0-litre TDCi diesel with either 150PS or 180PS. Even with the new engine the driving experience is just as it was. The ride quality is good on the whole, though sometimes a bit unsettled on rough roads, while the steering is nicely weighted, accurate and provides a reasonable amount of feedback. 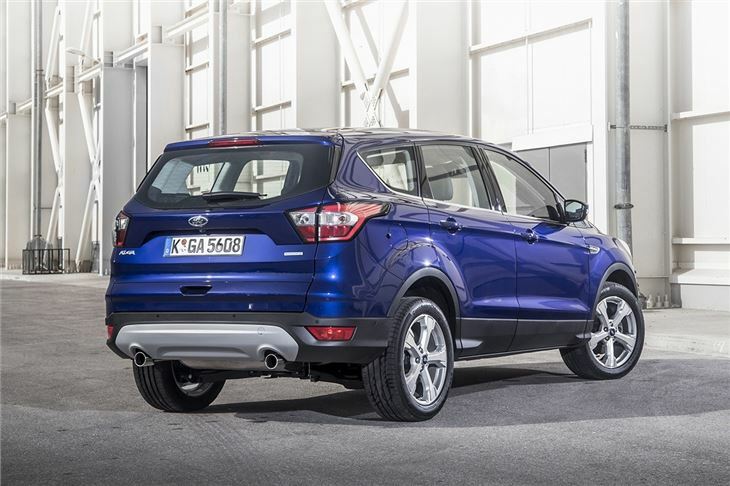 The Kuga corners well – there’s plenty of grip even in the front-wheel drive car tested. There is a little body roll, but that’s to be expected of an SUV and it’s never problematic. 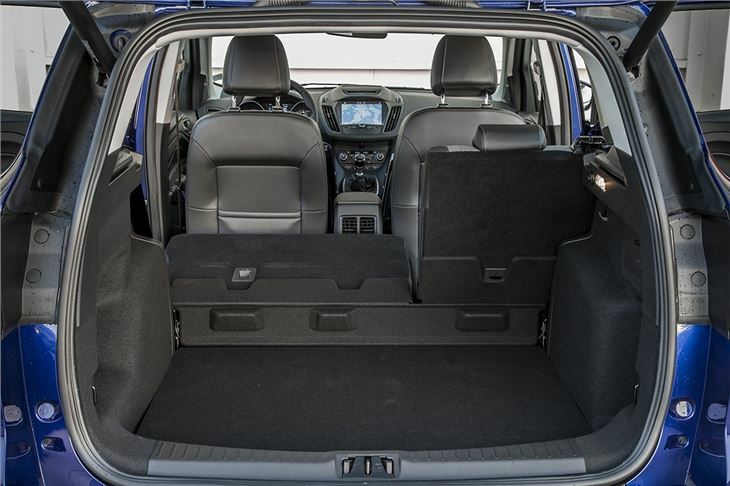 The new Kuga also comes in ST-Line trim. This gets sporty styling, but it also rides lower and has retuned steering, plus stiffer anti-roll bars to improve cornering performance. It’s not exactly a miraculous transformation, but for those who want a sportier driving experience on country roads it might be just the job. Most are likely to choose it based on the way it looks, though, with its glossy black details and big wheels. 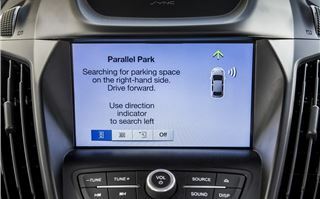 Ford has tweaked the interior a little, with an electronic parking brake freeing up some extra storage space and, more importantly, a new Sync 3 touchscreen system. It’s standard from the tested Titanium trim upwards and includes navigation, DAB and a variety of compatible apps like Spotify, plus Apple CarPlay and Android Auto support. It isn’t a bad system. On the whole it responds well to touches and swipes, while navigating the menus isn’t too tricky. Some functions, like pairing up a device via Bluetooth, are extremely easy and quick, but we had a bit of trouble setting the navigation. The SEAT Ateca touchscreen system is slicker and more intuitive. Autonomous emergency braking is optional and will attempt to stop the car if it detects an imminent collision. Adaptive cruise control, which adjusts to the speed of traffic, is available too, along with lane keep assistance. 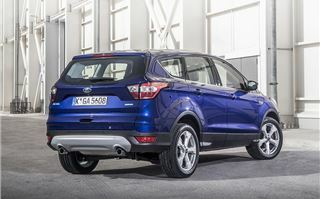 Other manufacturers do these systems better, though – the Kuga is keen to brake quite suddenly when it detects other vehicles on the motorway, despite the driver being midway through a lane change. Another useful feature is the optional hands-free electric tailgate, which opens when it detects a foot being waved under the rear bumper. A Quickclear heated windscreen is standard on all versions and very swiftly de-ices and de-mists. There’s plenty of space in the front and the high seating position provides a good view ahead, while the back row reclines and, though not the biggest, it is still spacious enough for adults to sit in a good degree of comfort. The 456-litre boot is flat with an adjustable boot floor, so loading awkward items like pushchairs isn't difficult. It is quite high up though, so heavier things could be hard work. Material quality is good, with plush, soft touch materials on the dashboard and door tops, plus sturdy-feeling buttons and dials. If you want more luxury there's a Vignale version, which has very well-finished, quilted leather upholstery and a leather-wrapped dashboard, along with its own unique styling details. There is a premium to pay, though – so unless you’re really keen on fancy upholstery you’re better off with a lower trim level. The mid-range Titanium version is probably the best choice, since it comes with everything most people will need. That includes auto lights, auto wipers, reversing sensors, part-leather upholstery, dual-zone climate control, keyless start and the Sync 3 system. That does leave a few things on the options list, including adaptive cruise control at a steep £750 and a reversing camera at £250 – features that, while optional, are cheaper to specify on a SEAT Ateca. 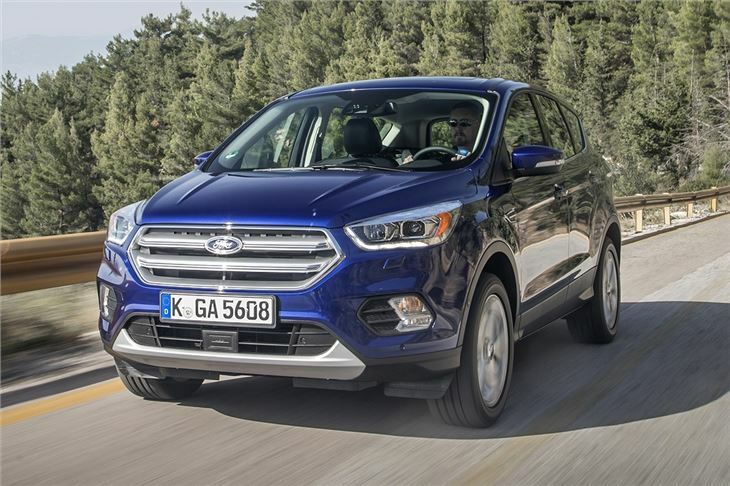 There isn’t a lot to complain about with the update Ford Kuga. It drives well, is well made and has a decent level of standard equipment. But competition is stiffer than it ever has been. The SEAT Ateca and Kia Sportage are available for about the same money and both are more nicely-finished with better infotainment systems. If we had to pick between them, both the Sportage and Ateca would trump the Kuga for our money. 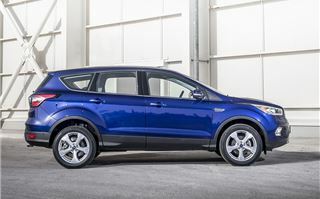 The Ford Kuga is available to order now, priced from £20,620.